In today’s post we are sharing with you three very good iPad apps you can use with students in class to help them in their writing projects. 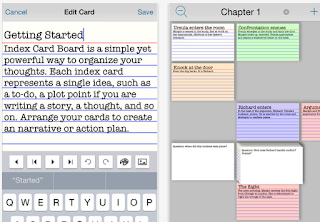 The apps are especially helpful for creating outlines, structuring plots, capturing ideas and organizing thoughts. All of these apps provide you with export features that allow you to export your data in formats compatible with the major text editors. students can use them to brainstorm ideas and create outlines and then export their work to the editor of their choice where they can bring their writing projects to fruition. 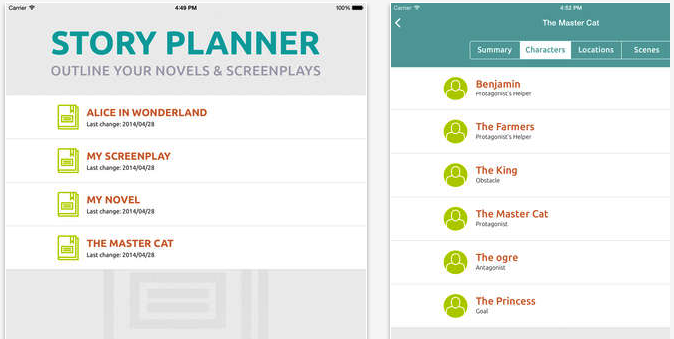 This is a great app to help you prepare outlines for your writing projects. 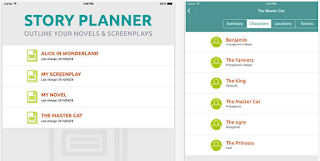 Some of the things you can do with Story Planner include: create characters and locations for your stories, create and arrange scenes for your stories, export your writing projects in different formats (e.g. rtf, .txt, PDF, Final Draft and Scrivener), sync all your projects to iCloud and many more. This is a very good story mapping tool to use for structuring, organizing and building a story. 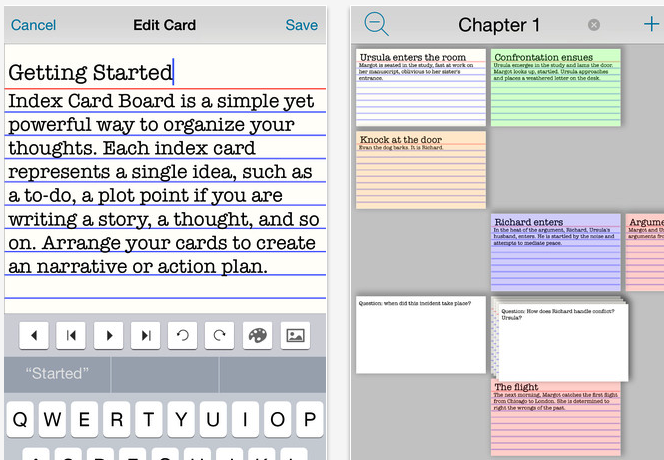 StorySkeleton provides you with a set of index cards where you can quickly jot down your ideas and capture your thoughts. You can then export your cards to the text editor of your choice and elaborate more on your ideas. You can also link your Dropbox account to StorySkeleton and all your cards will be automatically synced to your Dropbox so you can access them across different devices. 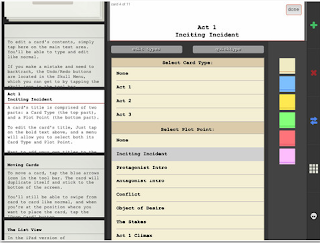 This is another cool iPad app to organize your thoughts and help you stay focused while working on your writing project. You can customize your cards the way you want. You can change their colour, background, fonts, use arrows to make idea charts, attach images to your cards and many more. Once your cards are ready you can export them in various formats including formatted text file, PDF, or as an Index Card file that users of this app can open. Premium accounts provide more advanced features such as realtime collaboration, seamless syncing between devices and the web and many more.